This is one of those discs that’s hard to remove from your CD player once it’s in. Green is a sublime pianist, and an even better composer. He’s fronting a crack band featuring ringer Tripp Sprague‘s soprano saxophone on several tunes, and rounded out byJustin Grinnell on bass, Dylan Savage on drums, and Allan Phillips on percussion. Most of this record reflects a decidedly Brazilian flavor, a genre that Green understands very well. The record opens with “Doctor Pasta” a tune with a joyous melody, outlined by Sprague, then joined by Green’s overdubbed melodica. There’s a double-timed section towards the end which brings the percussion and drums into a heated dialog. On “Baiao Pra Voce,” Green’s acoustic piano absolutely dazzles–it flows like white-water down rapids. “Para Chano,” begins as a sensitive ballad, given direction by Grinnell’s whole-notes, double stops and unison ostinato in concert with the pianist’s left hand. The bassist takes a probing, Haden-esque solo over the tic-tocking percussion and swirling brushes of Phillips and Savage, who open it up later with an intense dual solo, before returning to the melody. Tying it all together is that dark, mysterious ostinato. On “Gigi,” Green’s ebullient melody soars above the potent groove established by the rhythm section, and Grinnell rips out another tasty solo. 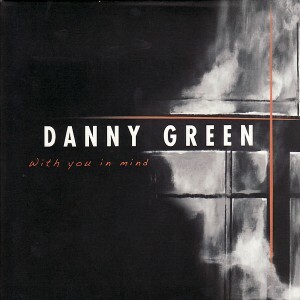 The title track, “With You In Mind,” is a straight up jazz ballad in the spirit of a ’40s standard by the likes of Jerome Kern or Richard Rogers. “The Last Minute,” features Sprague again, and from the beginning, his soprano is all over this tune–sailing along the contours of the melody with grace and inventive ornaments before taking flight with a strong solo. Perhaps the most diverse tune is also the highlight in an album full of them. “Panic Nap,” begins with mild cacophony and sound effects before morphing into a lilting Latin rock groove featuring a winding, intricate melody by Green’s multitracked melodica over his electric piano comping. Grinnell is on electric bass here, and he turns in an astonishingly nimble solo–which Green folows with a deft Rhodes expression of his own. With You In Mind is top-flight stuff all the way. There is a new Green CD in the offing, and based on this one–and the new material I heard at The Loft–it’s going to turn some heads.